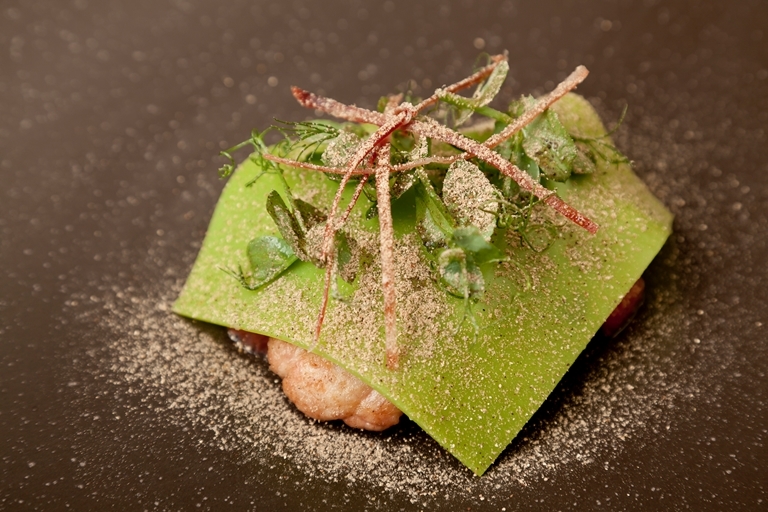 For a truly divine sous vide lamb sweetbreads recipe, look no further than this incomparable creation by Steve Drake. Choose sweetbreads which are white-pink, plump and firm. With the savoury pea 'square', the dried shiitake mushroom dust and salty, crunchy jamón Ibérico, this is a wonderfully well-balanced dish.